It's hard to believe we're almost two months into 2018, and of course the new editions are starting to roll out. This past week the Platinum Oshino demonstrator dropped, and retailers are starting to list the 2018 Sailors and Pelikans for pre-order. The small-batch makers and Etsy stores are also starting to restock after the holiday rush. Let the pen show season frenzy begin! Disclaimer: This post contains links to paid advertisers and affiliates. Platinum Oshino Demonstrator (via Pen Chalet). The newest Platinum Mt. Fuji demonstrator is available for purchase. This year's version is clear. Limited Edition 2017 Pilot Vanishing Point Crimson Sunrise (via Paul's Paper & Pens). Paul still has some of these gorgeous L.E. Vanishing Points available. If you missed out the first time around, act now. Some nib sizes have sold out. Sailor Royal Tangerine (via Pen Chalet). 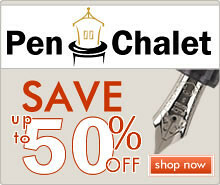 Pen Chalet has the new Sailor 1911 Royal Tangerine in stock, in both the Standard and Large size. Lamy Al-Star Special Edition Vibrant Pink (via Pen Chalet). I'm less than thrilled with this year's limited edition Safari (a somewhat boring matte black that looks like pens Lamy already has offered) but I'll jump on the bandwagon and say that the Vibrant Pink Al-Star looks awesome! Opus 88 Pens (via Goldspot). I'm glad to see Opus 88 getting some traction here. 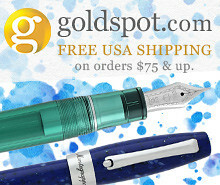 Now Goldspot is carrying the brand, and they're currently running a special where if you order $49 or more, you get a free three-pack of mystery ink samples. Retro 51 Chicago Tornado Edition (via Anderson Pens). In celebration of Anderson Pens Chicago, Anderson Pens has teamed up with Retro 51 to issue a Chicago edition of the Tornado rollerball. 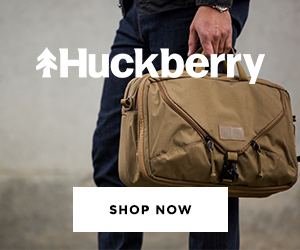 Bull and Stash Coupon Code (via Bull & Stash). Enter the Coupon Code YVSBCY4YJAQE to get 10% off your order. Bull & Stash has just released their newest leather journals, and I have one for review that will be up soon. Pelikan Souveran M600 Turquoise and White (via Appelboom). Pelikan recently announced their newest M600, which is available for pre-order at Appelboom. I'm glad to see Pelikan apparently committing to more pens in the M600 size. 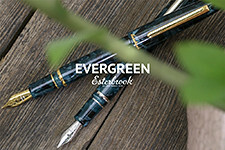 Edelstein Ink of the Year Olivine Pre-Order (via Pen Boutique). I've not heard this kind of hype surrounding an Edelstein IOTY in a while - I expect there to be a bit of a rush when the ink first becomes available in March. Pen Boutique is taking pre-orders. yStudio Pens from Vanness (via Vanness Pens). 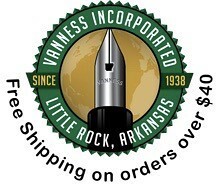 Vanness has recently restocked their yStudio pens from Taiwan, which are once again available in both fountain pen styles and the ballpoint. Leather Hobonichi Covers from One Star Leather (via One Star Leather/Etsy). Now that we're over a month into 2018, you'll likely know whether you want to commit to the Hobonichi Planner for the long haul. If so, I'd recommend adding a high quality leather cover. One Star Leather makes them in both the A5 "Cousin" size and the "Techo" A6. There's even an option for the slimmer "Weeks" planner. New Pen Wraps from Written in Rice (via Written in Rice/Etsy). There are a few new designs available in the Written in Rice Etsy store, including owl, whale, and hedgehog motifs! Elegant Utility Pencil-Related Goods (via Elegant Utility/Etsy). All kinds of pencil-related goods, including brass holders, stands, and weighted pencil caps. Check out my review of the Pencil Crown here. Pens by Yoshi Nakama (via 18111/Etsy). Yoshi is adding all sorts of new designs for pen show season. 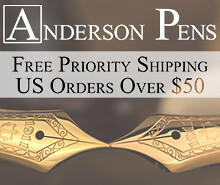 If you can't make it to a pen show where he's attending, you can purchase via his Etsy store. Wancher Leather Pen Case (via Amazon). Wancher sent me a two-pen version of these for review, and they're very nice. 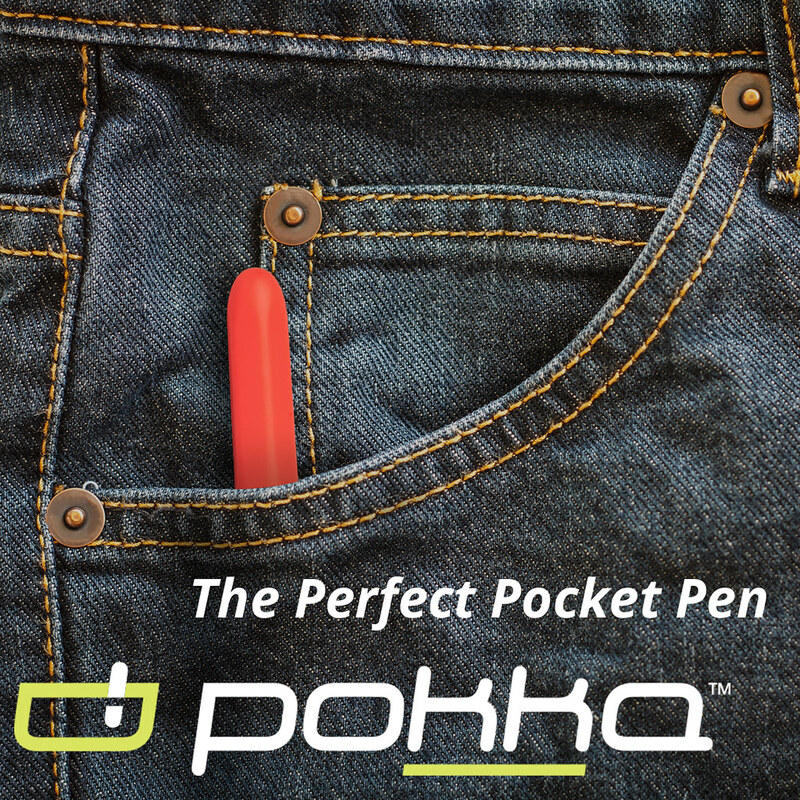 This three-pen version might be a bit more practical. Wancher Dream Pen Kickstarter (via Kickstarter). Wancher just announced this morning that they are adding a Yellow Urushi option to the Dream Pen (which was my preferred color). Wancher Matt Monte Edition Fountain Pen (via Amazon). I've not used any Wancher fountain pen other than the Dream Pen prototype I was sent for review, but this looks like an interesting design. 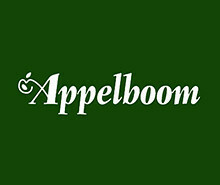 Diplomat Aero Factory (via Appelboom). Love the chrome/black trim combination on the new Aero. Tomoe River Paper Loose Sheets (via Amazon). Looking for loose Tomoe River for your InCoWriMo letters? Dingbats A4 Notebooks (via Amazon). Dingbats has now released their notebooks in a larger A4 size. I've also added some new items to my Amazon page, including some of the Chinese pens I've been trying out and have mentioned over the past few weeks.